Another car I did in one of my previous trips to norcal / Bay area. The owner of this silver Mercedes Benz CLS65 AMG had me vinyl wrap the roof of his car with the 3M 1080 gloss carbon fiber vinyl material. 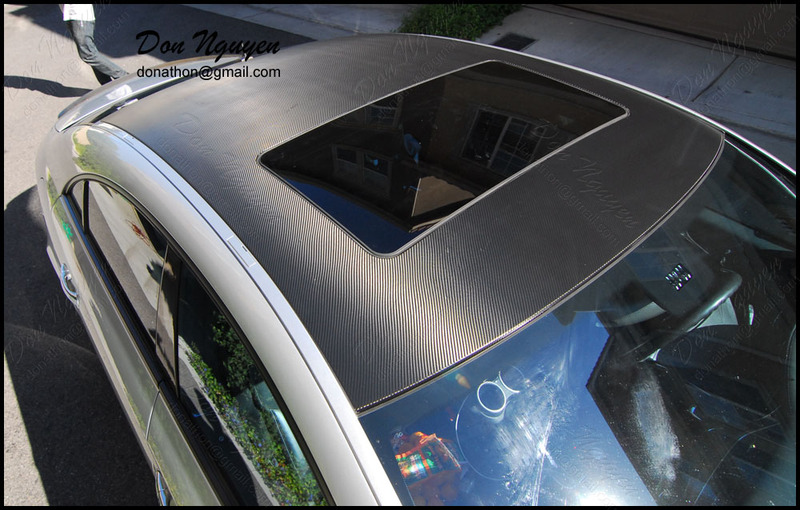 In addition to the roof, I also vinyl wrapped his chrome window trim with my matte black vinyl. 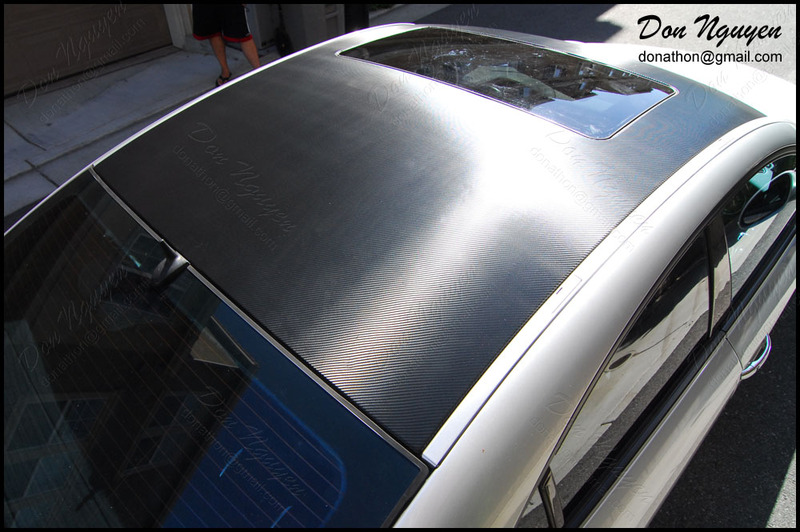 Blacking out the window trim really complimented the roof and also dark colored wheels that the car already had. As comparison, the side B pillars have real carbon fiber overlays on them.